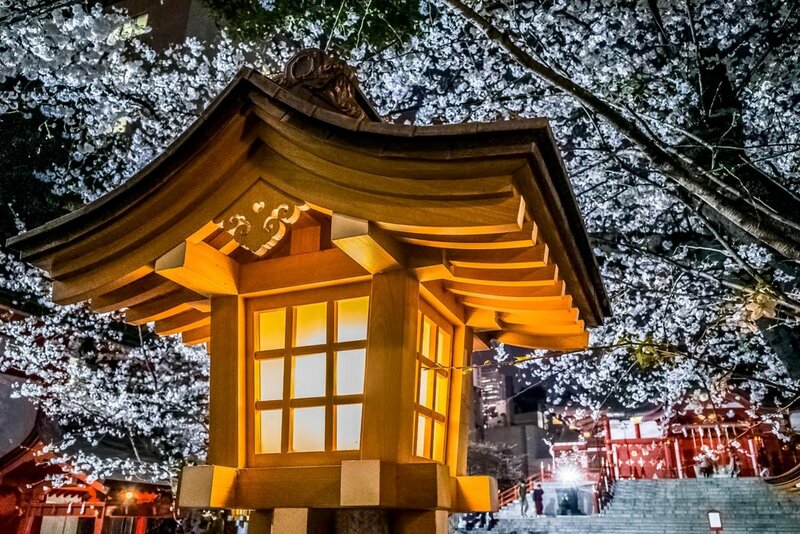 One place that can be very surprising for cherry blossoms is Hanazono Shrine in Shinjuku. On a night walk through the area, in spring, I decided to check out the shrine and was very pleasantly surprised. After the sun goes down is can be fairly dark with a few people wandering through. In spring though, when the flowers bloom, it is lit up and becomes very beautiful! Yes, there is some concrete there which might not be pleasing for some people, but if you think about your shots, you can get some tremendous pictures.